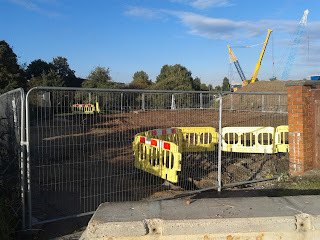 Derby's waste - a rubbish blog ! 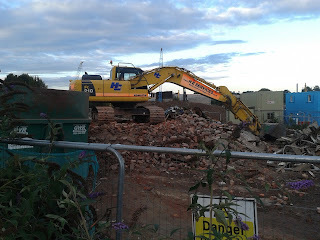 : Demolition Derby comes to Sinfin Lane. Housing who needs housing eh ! Shanks Waste certainly don't having applied recently to knock down 1-5 Railway Cottages on Sinfin Lane in Derby. 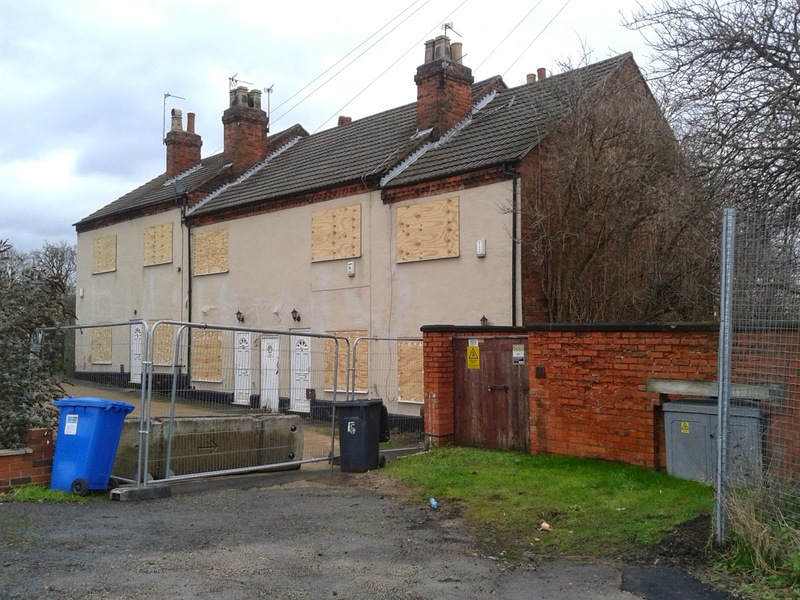 These cottages until recently were the nearest neighbour to the controversial waste incineration plant Shanks Waste and Interserve are building on the Sinfin Tannery site in the Sinfin area of Derby. After a lengthy battle to stop this proposal including two public inquiries and various legal challenges planning was granted and construction has started. In the late Autumn of 2014 the residents living in these homes got a nasty surprise when their landlord terminated their leases on the homes leading to them being forced from their homes in the run up to Christmas. Shanks Waste trying to smooth things over said they purchased with vacant possession - well yes because the previous landlord shoved them out in the run up to Christmas - such festive spirit! So we have a waste disposal company who can afford to spend close to £400,000 on a group of properties to then simply knock them down while there is a large city wide housing waiting list where people are crying out for homes. As the waste incineration plant is being built on council land and is part of a 25 year waste disposal deal between Derby City and Derbyshire County Council it is quite clear who is paying bills for this proposal - Council Tax payers ! This is how Shanks treats its neighbours - buy up the houses forcing the residents out and knock em down ! NEIGHBOURS ! EVERYBODY NEEDS GOOD NEIGHBOURS !